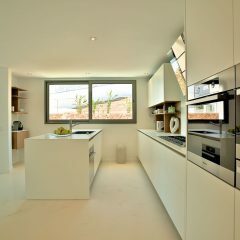 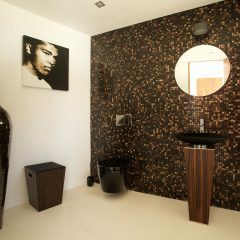 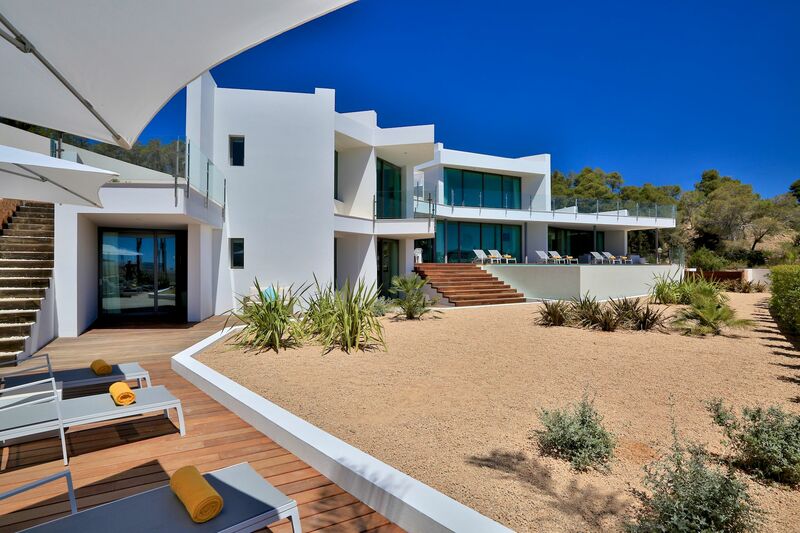 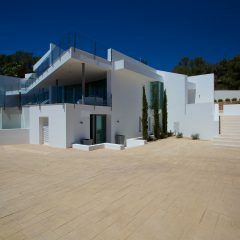 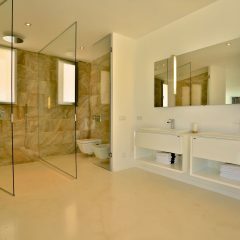 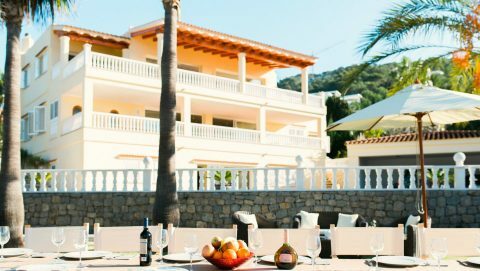 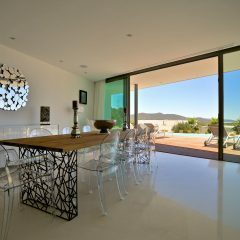 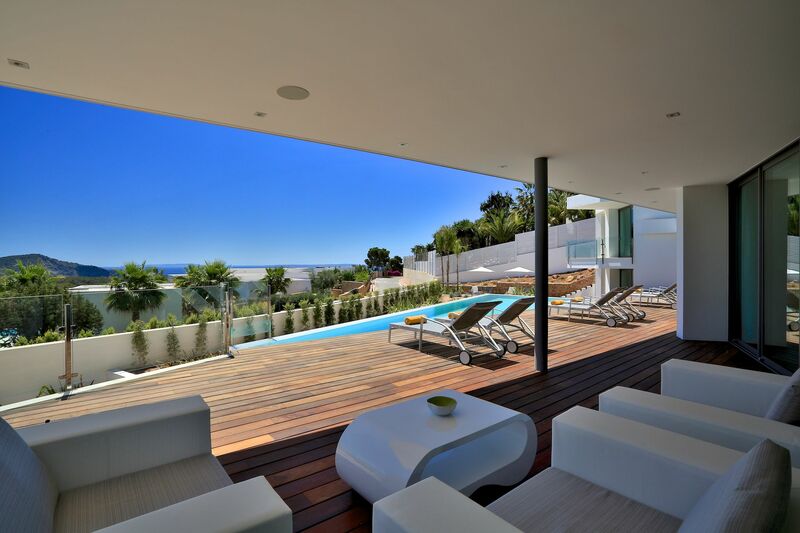 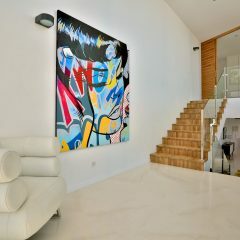 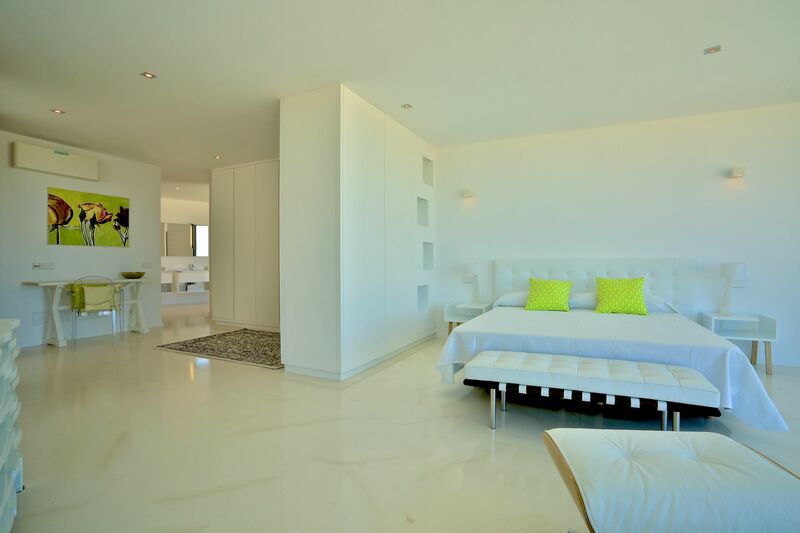 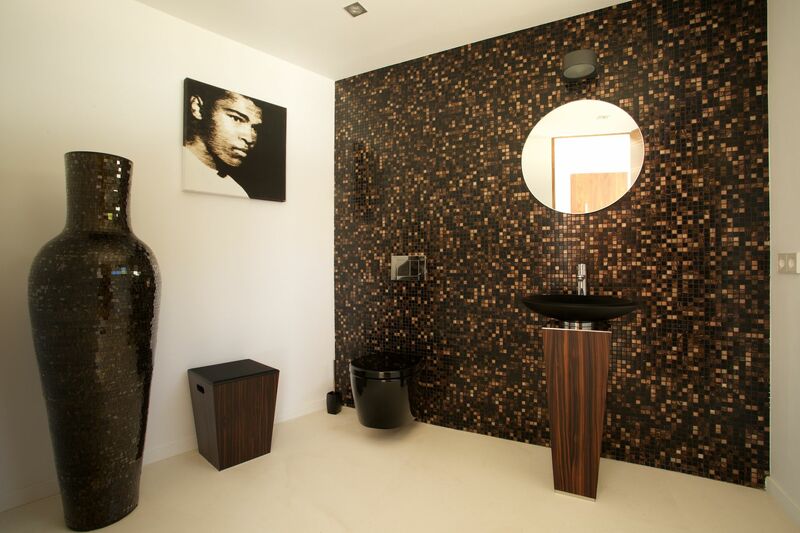 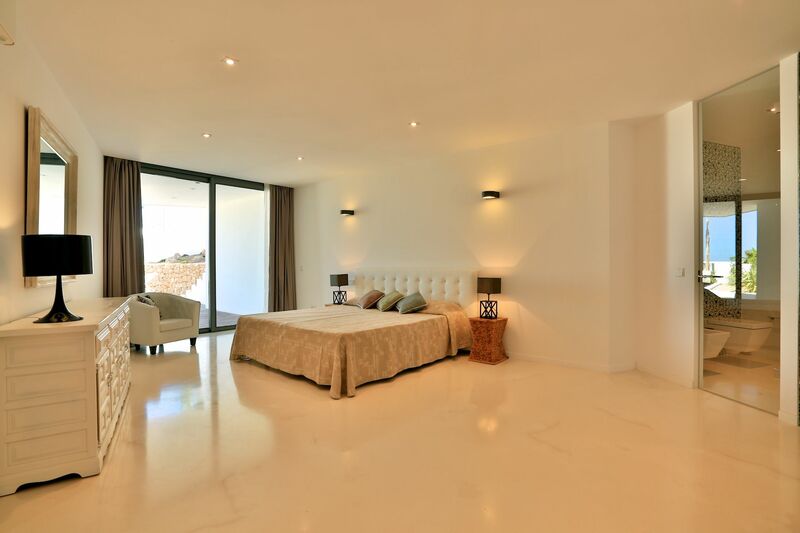 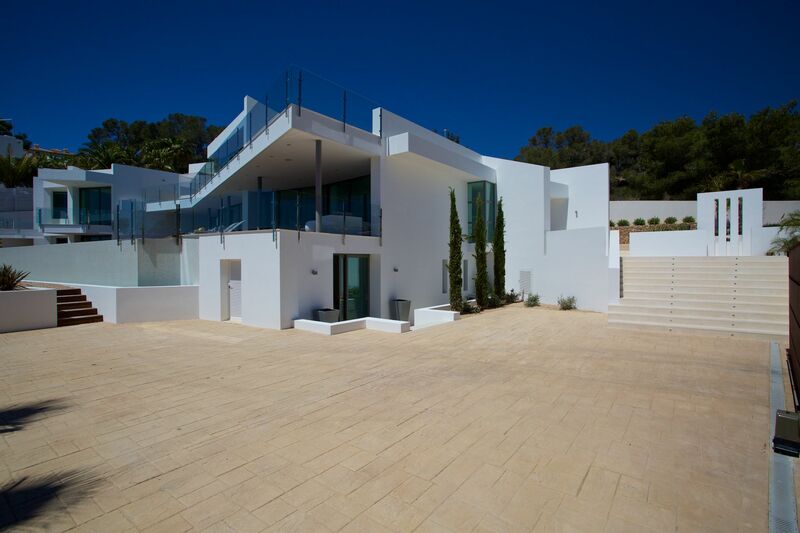 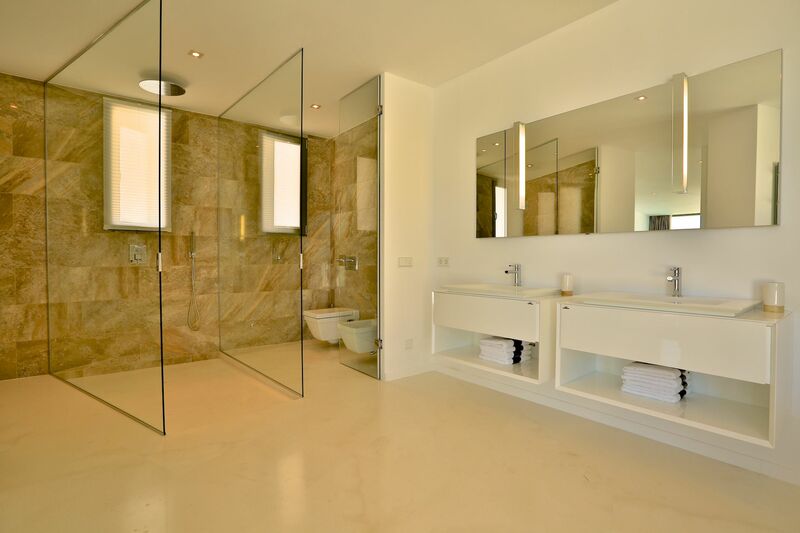 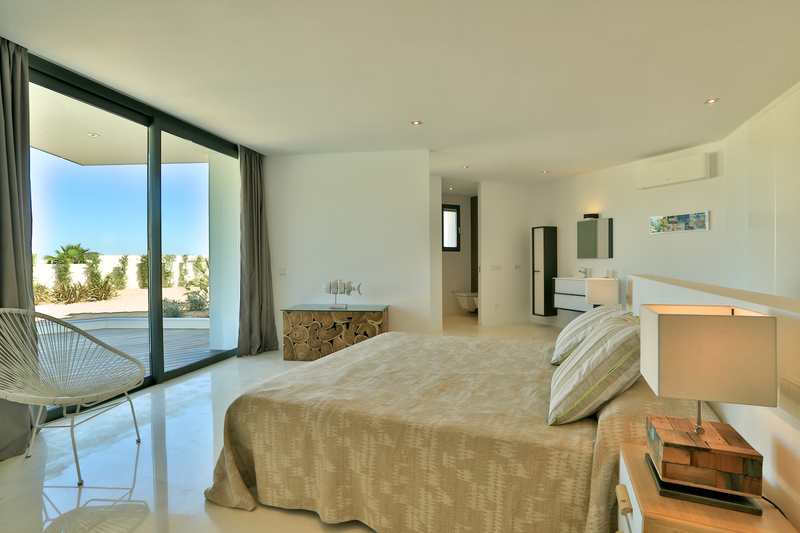 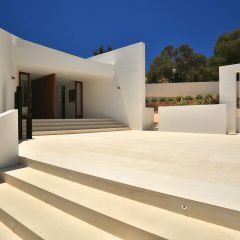 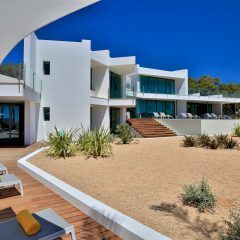 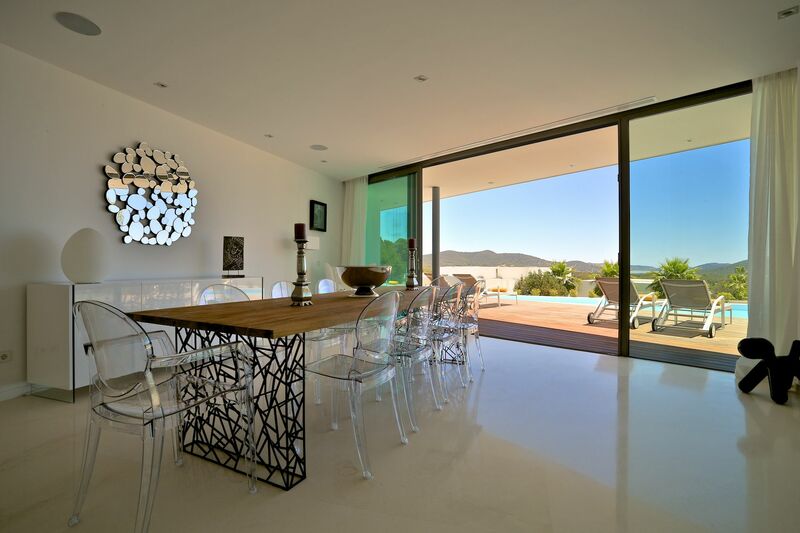 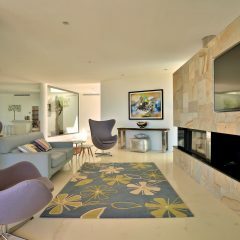 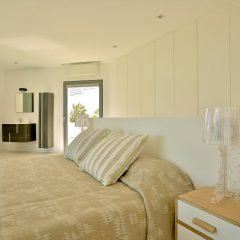 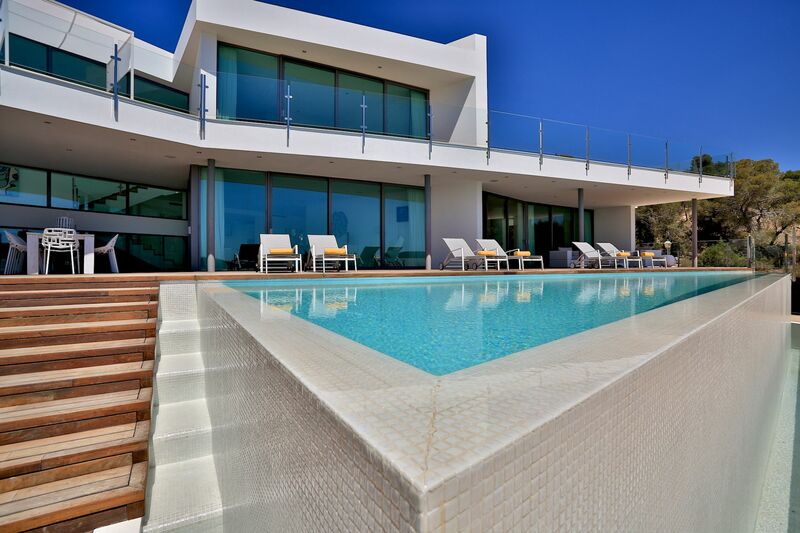 Villa Magic View is a spectacular newly constructed 6 bedroom villa on the south coast of Ibiza. 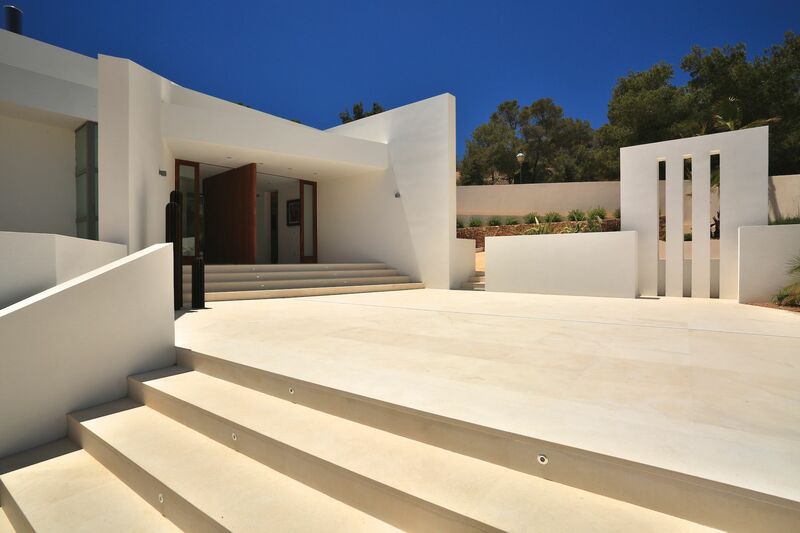 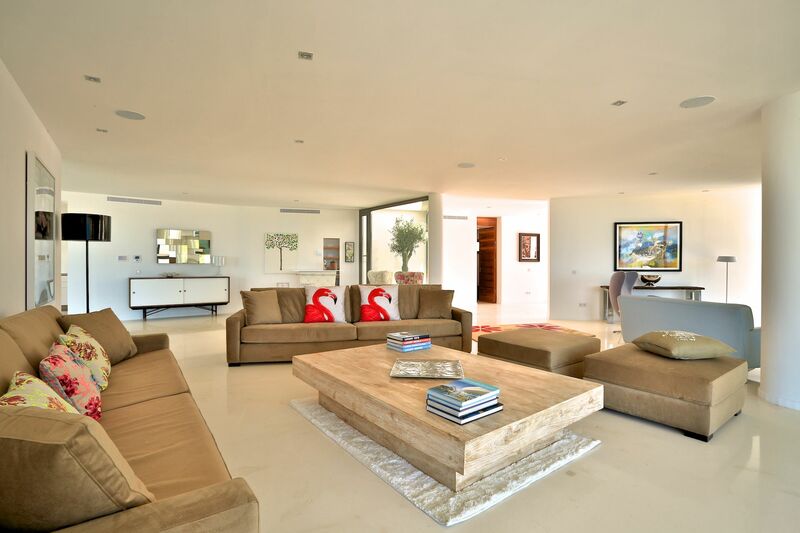 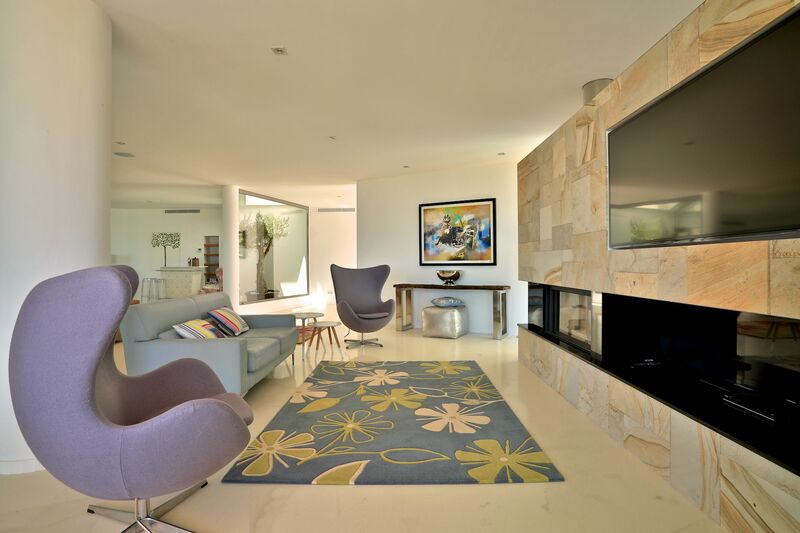 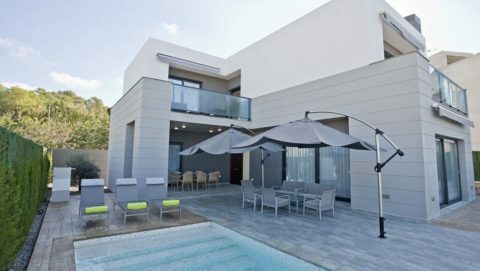 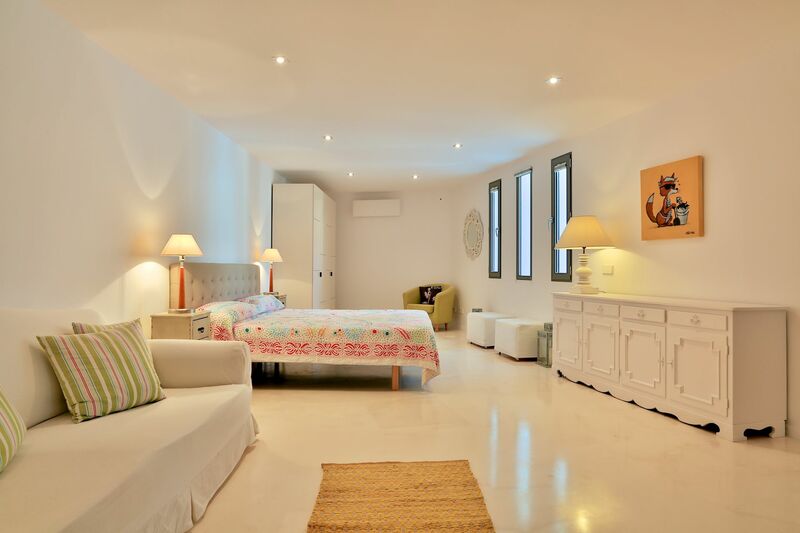 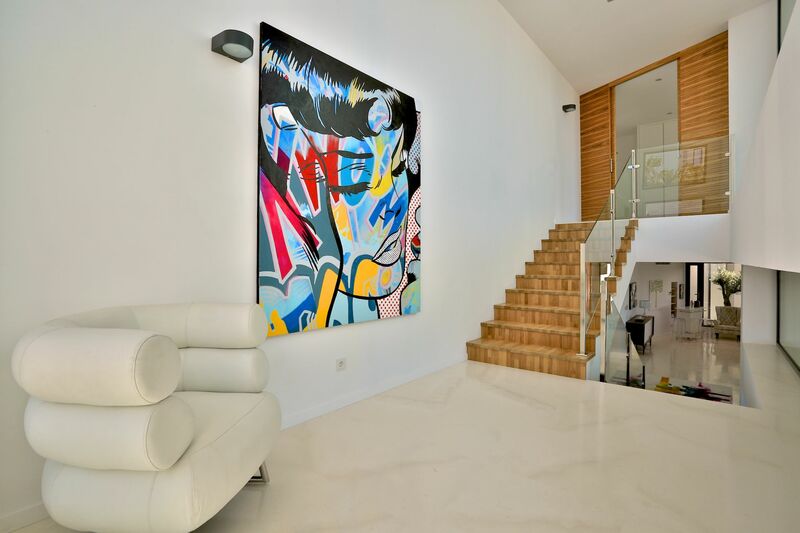 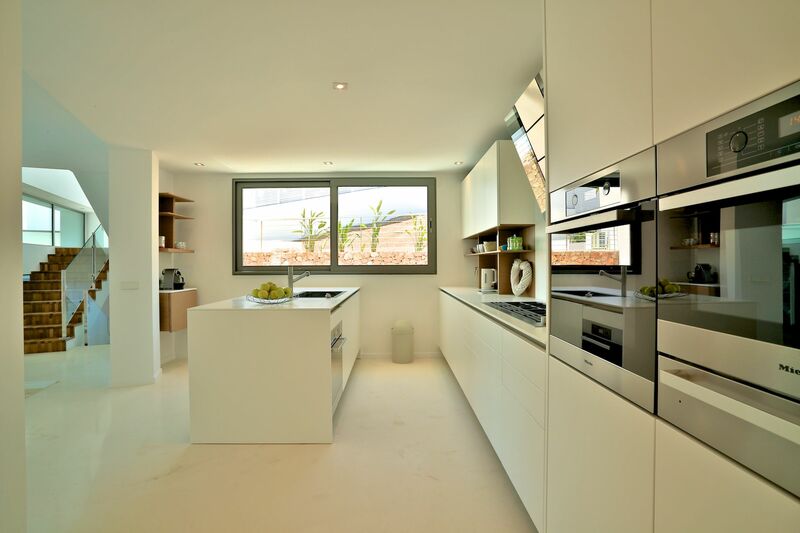 Designed by sought after Balearic architect Blanca Castiella and built with high grade, locally sourced materials, the stunning 620m2 house sits in a corner plot of 1920m2 within a exclusive, secure gated development. 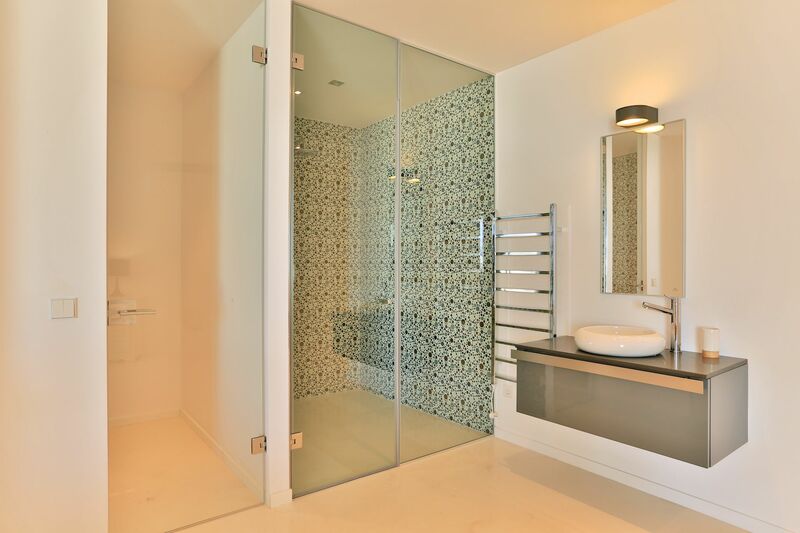 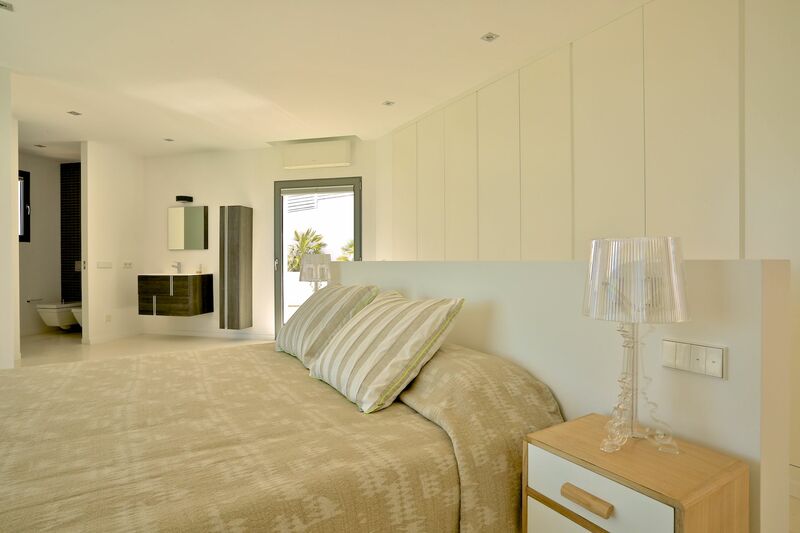 Each bedroom has it’s own ensuite bathroom and terrace and is equipped with all of the latest technology which runs throughout the house. 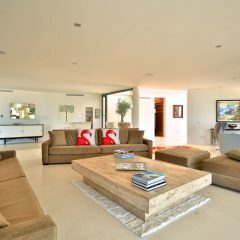 A large 200m2 basement is also ready to be turned into a venue of your choice – whether it be a bespoke sound proofed bar, music studio, children games rooms and gym or simply more guest bedrooms.